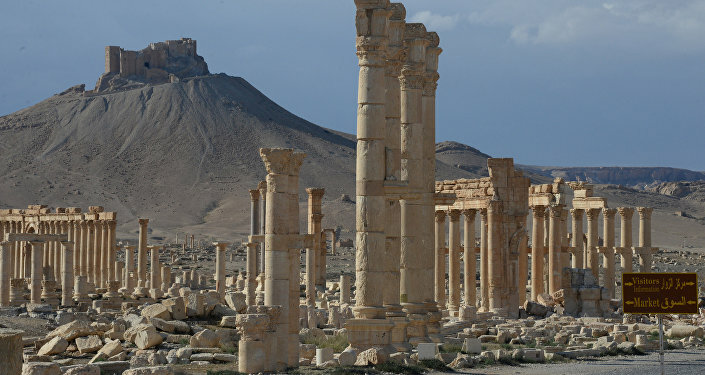 The Russian mine-clearing group has demined four hectares in Syria's ancient city of Palmyra. MOSCOW (Sputnik) — Russian sappers have demined four hectares in the historical part of Syria's ancient city of Palmyra, clearing a total of 108 explosive devices, the Russian Defense Ministry said Monday. "The specialists from the Russian mine-clearing group have started demining the infrastructure in Palmyra. In the past 24 hours, the Russian sappers have cleared four hectares in the historical part of the city, destroying 108 explosive devices," the ministry said in a daily bulletin posted on its website.